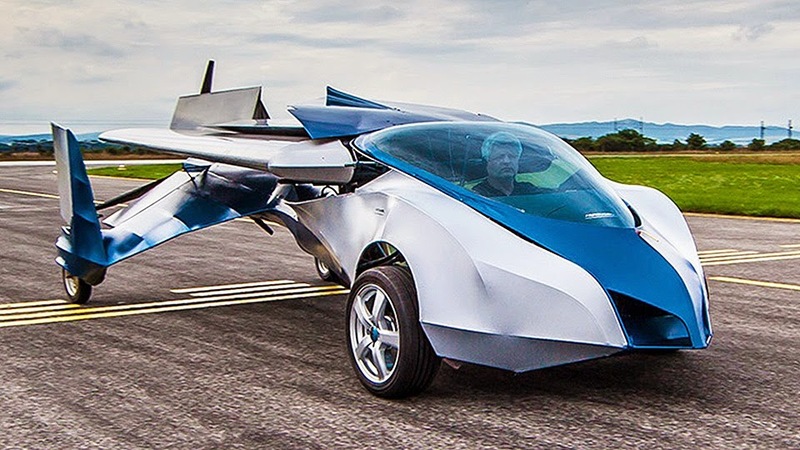 A limited edition, two-seater flying car will go on the market in the next two years, with a self-driving and self-flying model potentially not far behind, according to Slovakian company AeroMobil. Juraj Vaculík, CEO and co-founder of the company behind the vehicles, made the announcement at a presentation during the South by Southwest Interactive conference in Austin, Texas, yesterday. Vaculík hinted that a fully autonomous model is also in the pipeline. "If something like a flying Uber and flying Lyft will be on the market, I think many users will find this a very efficient way to move,” he said. The current AeroMobil 3.0 has a top flight speed of 100 mph, will have a flying range of around 430 miles, with altitude limited to 9,800 feet to avoid cabin pressurization. It will be equipped with a partial autopilot mode and feature an emergency parachute which deploys automatically should a pilot fall ill. It is designed to run on regular fuel, consuming around 15 litres of petrol an hour, and drivers will need to hold a valid pilot’s license in order to operate it. The proposed mass-marketed flying car to follow AeroMobil 3.0 is dubbed to be a four-seater hybrid and will be totally autonomous. It is unconfirmed whether a driver would require flying qualifications, but the car is likely to get its own new, regulatory category of vehicle. The cars can reportedly fit into normal parking spaces and take off and land on 200 metres long grass strips, negating the need for airports according to Vaculík. He added that travel time to and from airports as well as security checks can end up doubling air travel time, and so flying cars could be ideal for shorter trips of around 400 miles. Vaculík argues that flying cars will reduce traffic congestion, as the vehicles would be spread in different “layers” of airspace. He envisions landing strips being built by the side of main roads or by petrol stations and advocated the vehicles for accessing remote areas, cutting the need for expensive roads in the future. The company first introduced its working prototype for the 3.0 model at the 2013 Montreal Aerotech Congress in Montreal before unveiling an advanced design at the Pioneers Festival in Vienna last year. The model has been certified by the Slovak Federation of Ultra-Light Flying following authorisation issued by the Civil Aviation Authority of the Slovak Republic. Vaculík acknowledged that regulations and certifications will likely hinder the mass adoption of flying cars but added that the project has strong support from the European Union. "We need to match 100 years of bureaucracy in the air and 100 years of bureaucracy on the ground. It's not easy," he said. Pricing for the limited edition AeroMobil 3.0 has yet to be confirmed, but Vaculík estimates that it will be in the range of hundreds of thousands of dollars.